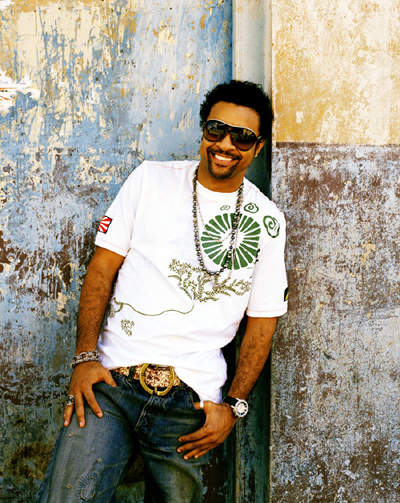 NEW YORK – The American Friends of Jamaica (AFJ) will honor Grammy Award-winning recording artist Shaggy at the 7th Annual Peacock Soiree in Miami on Saturday, April 9, 2011. Diamond-selling performer Orville “Shaggy” Burrell will be recognized for his philanthropic role in assisting the Bustamante Hospital for Children in Kingston, Jamaica. The Peacock Soiree will be held at Miami’s Jungle Island, a lush, tropical setting with a festive atmosphere that sets the tone for a night of cocktails, dinner and dancing. The proceeds of the AFJ event create significant social impact by raising important funds distributed to Jamaican charities in education, healthcare and economic development. Shaggy has always embraced the premise that “to whom much is given, much is required.” What began as donations of medical equipment and visits to the Bustamante Hospital For Children–to distribute gifts during the holidays, paint rooms, and donate beds–gave birth to the Shaggy Foundation. He developed the organization in 2008, and recruited business associates, fellow recording artists and sponsors to assist in hosting an annual charity event with proceeds going directly to the hospital to help defray the cost of medical equipment. Seeking other avenues to raise funds, Shaggy co-wrote a children’s book entitled “Shaggy Parrot” that features the artist as the main character whose singing and speaking voice demonstrates learning through fun. AFJ’s Chairperson Ambassador Sue Cobb said, “Shaggy is the essence of the charitable spirit we celebrate in our continued support of the Jamaican society and its people. The Peacock Soiree is a celebration of this spirit for all to enjoy while raising funds for good causes”. For event tickets or sponsorship details contact 212-265-2550, email southflorida@theafj.org or visit www.theafj.org. About American Friends of Jamaica, Inc. Founded in 1982, the American Friends of Jamaica is a charitable 501(c)(3) organization built on the principles of service and philanthropy; and is established to render assistance in the areas of Education, Healthcare, and Economic Development. The AFJ works with a broad coalition of Jamaican organizations and stakeholders to bring about change in the lives of Jamaicans in need. Amongst other initiatives, our partners assist us to provide shelter to the homeless, or to send inner-city youth to camps where they learn life skills. For more information, visit www.theafj.org. An exciting event space, the Jungle Island property features lush gardens and breathtaking waterfalls and is home to over 500 species of trees and plants, exotic animals and fascinating creatures. Jungle Island is located at 1111 Parrot Jungle Trail on Watson Island. For more information about this spectacular location, visit http://jungleisland.com/.